Can you believe it? The Miseducation of Lauren Hill will celebrate 20 years this week - whoa! I remember buying the CD and hanging on every word, loving the graphic of Lauren etched into a school desk, I enjoyed every interesting transition happening in the classroom setting, every single song and its own story and then.... I heard the snaps, drum and bass kick in, gentle vocals by D'Angelo and intro to Nothing Ever Matters - you could have pushed me over with a feather. What - who is this woman I thought? I knew her rap and vocal skills from the Fugees but the wave of warmth and confidence that exude from the song was (and is) a thing of beauty. So inspirational, heart felt, real and vulnerable. Released August 25, 1998 The Miseducation of Lauryn Hill debuted at number one on the Billboard 200 chart. In the first week, the CD sold 422,624 copies which broke a record for first-week sales by a female artist. - Go 'head Lauryn! The hit singles from the album were: "Doo Wop (That Thing)", "Ex-Factor" and "Everything is Everything". In the years following, drama and controversy surrounded the work. Rolling Stones wrote an interesting article at the 10th anniversary of the CD that share an oral history of Hip Hip with include quotes, lawsuits and challenges that Ms. Hill faced with bringing this album to life. Despite the challenges, this album is one of my all time favorites. If you haven't listened to it in awhile, take a seat and drink it in or go see her in concert with a host of artists for the 20th Anniversary Tour . Ms. Lauryn Hill, thank you for sharing you life, love and talent in such authentic, raw and unique ways and congratulations on 20 years of the Miseducation of Lauryn Hill. 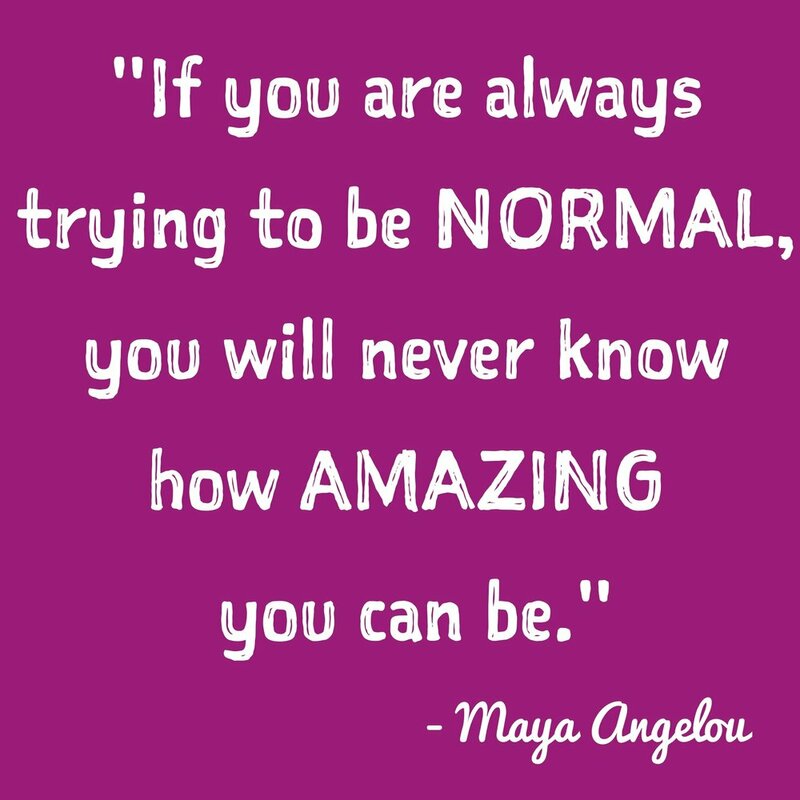 #WisdomWednesday - don't trade normal for AMAZING! Nobody says it like Maya Angelou. Don't miss amazing because you are chasing normal. You are not meant to be, look, create, build, write, discover, play or sing like anyone else. #MotivationMonday - First they ignore you...then you win! Happy Monday! Yes, its a new week to consider your choices, navigate your path and step forward boldly. So many times as a entrepreneur, leader and teacher the dreams and visions that I have are misunderstood, not believed, challenged, ridiculed and brushed off. I have had to learn to be selective in my sharing, to pray and nurture my thoughts and ideas until I felt proud of them, am ready to share and then let them fly. This quote adequately describes the process of bringing something to life from thought/inception and development to roll-out and presentation. No matter what phase you are in, your dreams are uniquely yours and you know how the story ends. Let's have a productive week. #WednesdayWisdom - What to do if you stumble? This quote is everything! Such a great reminder that I will have obstacles that make me stumble but if I add some humor and change my perspective, I can make the stumble, mishap or set back into part of my dance. Make the most of all circumstances.